John Putnam | Feel the Music! 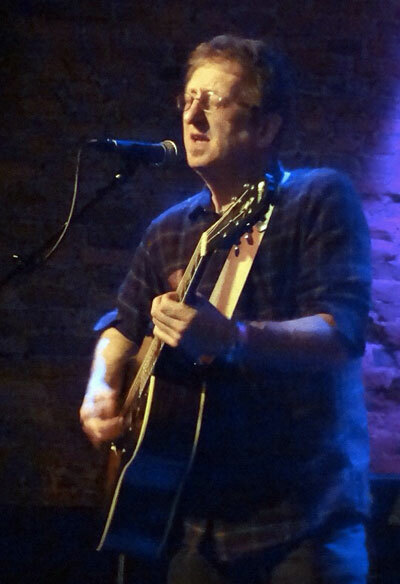 John Putnam is a native New Yorker and has been working as a guitarist for quite a few years. As a professional guitarist, he has performed and/or recorded for artists such as Rufus Thomas, Madonna (guitar solo on “Papa Don’t Preach”), Desiree, Jimmy Cliff, John Denver, SouthSide Johnny, David Johanssen, Bernard Purdie, Richard Shindell, The Bacon Brothers, Lucy Kaplanski, Darlene Love, and Cher. He has also composed numerous film scores including “Methadonia” (HBO) and “Inside Death Row” (National Geographic). Some of John’s recorded music has been used in the TV shows “Friends” and “Joey’. John recently released his first CD entitled “The Way I See It”, an energetic blend of vocal and instrumental tracks.